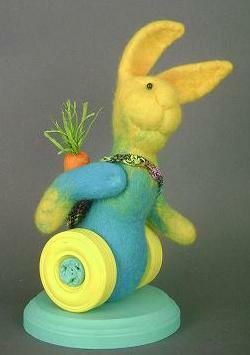 Needle felted & clay art dolls and felting kits. I also offer workshops. 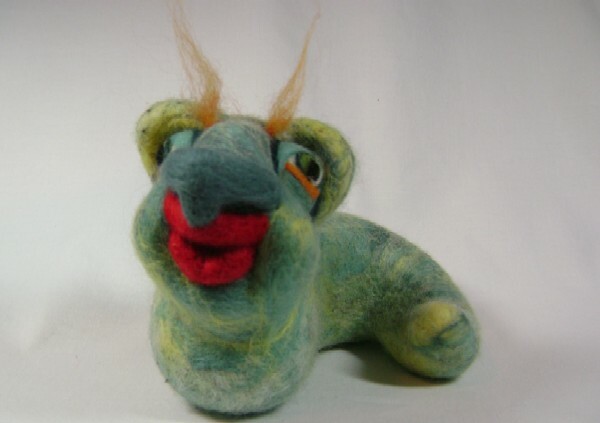 I was invited to take a workshop on needle felting and I fell in love with the medium! The many ways that wool can be manipulated and coaxed into taking a 3 dimensional form never fails to delight me. 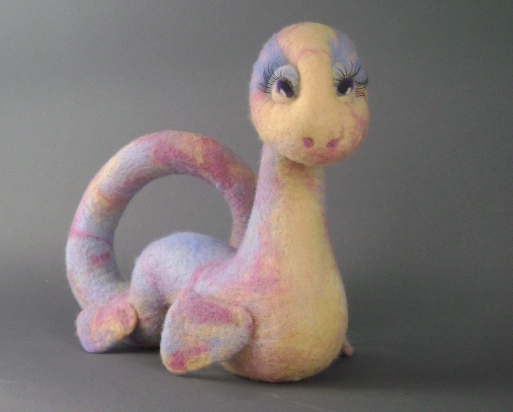 Needle felting also has a very contemplative aspect. I am inspired by color, texture, shape, anything that peaks my senses. I just plain like color! I go through stages when I might lean toward warm earth tones and then a period of soft pastels. It always changes. The delight of creating, the exhilarating feeling of learning something new and using it! Creativity cannot be extracted from any part of your life. The desire to create spills over into everything I do.